By being an advocate for young people with food allergies, Dr. Jonathan Spergel lives in The Land of Can! This post originally ran in March 2018. It featured one of our first Food Allergy Can Openers, Dr. Jonathan Spergel. Who in the medical field is your Food Allergy Can Opener? Let me know, JJ@thelandofcan.com. The response to my email arrived within a few hours. It sounds like an exciting project. I would be happy to see it. I pumped my fist in the air and immediately called my dad. Last summer I published Land of Not, my children's book for young people with food allergies. When I first received the copies, I was eager to share them with allergy professionals across the nation. I wanted honest, sincere feedback on a book that I truly believed would positively impact the emotional well being of young people with allergies. I didn’t have a marketing budget to blindly send copies (I'm a college student and had NO budget), so I sent emails to people in various parts of the industry, telling them who I was, explaining my plan to help young people and asking if they would be willing to “look at the book” to give me feedback. The first person at the national level to respond to my request was Dr. Jonathan Spergel. 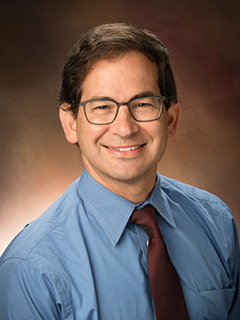 Dr. Spergel is Chief of the Allergy Section at Children’s Hospital of Philadelphia and Professor of Pediatrics at the University of Pennsylvania Perelman School of Medicine. He also is a fellow in the American Academy of Allergy, Asthma and Immunology, and the American Association of Pediatrics. He has published many, many articles in the field and serves on various medical boards. He has impressive credentials, indeed, and yet he still took time from his busy schedule to review my book and to set up a call with me. We talked at length about the importance of helping children adopt an asset-based mindset where they identify themselves by who they are and who they can be, instead of by who they are not. He was unbelievably supportive, helpful and inspiring. He validated my premise, gave me additional things to think about and encouraged me to move forward with my mission. When we were finished, he told me he would be there for me as a resource. Then he reached out to others on my behalf. He didn't just say he'd reach out. He actually reached out! Dr. Spergel could have simply ignored my initial email. (Some did.) He could have given me a hollow pat on the back like I was six, “Good job, Kid!” (Yep, got those too.) But he didn’t. Like a true advocate for youth with food allergies, Dr. Spergel recognized the potential of my message and proactively helped me to amplify my voice. In essence, he helped to catapult my book's lesson to children who need to see it. He probably doesn’t know this, but that initial conversation with him also confirmed the importance of me writing this daily blog. That is the definition of a CAN opener. Dr. Spergel lives in the The Land of Can!